Community – City of Fernie and Regional District government and business services. Education – Primary, Secondary, and Post Secondary schools in Fernie. History – Step into the past and discover Fernie’s rich history. Locals Report – A locals update on trails, rivers, powder and more. Non-profits – Charitable and non profit groups and clubs in Fernie. Fernie Legends – Fernie has its legends and they are rich fairy tales. 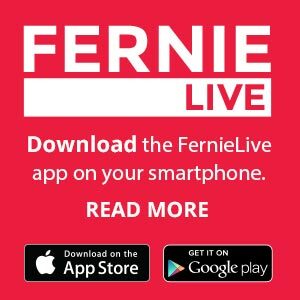 Fernie Live Mobile Application – The first ever Fernie mobile app empowers locals and guests to connect with Fernie. #FernieReport – Your social report on Fernie’s latest trail and snow conditions, tag your photos! 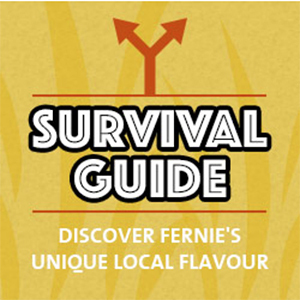 Survival Guide – The Fernie you’ve heard so much about from all those traveling friends (who used to rub your nose in it) is finally within your reach. Bed and Breakfasts – Fernie offers some of the most scenic and intimate Bed and Breakfasts in Canada. Condos and Chalets – From large multi-family chalets to cozy condos for two, find your fernie getaway spot here. Hostels – An array of great budget lodging with all the amenities in Fernie’s downtown. Lodges – Mountain lodges offer unique accommodations for the discriminating traveler. Motels and Hotels – From economy-priced lodging to high-end luxury, it’s all here. 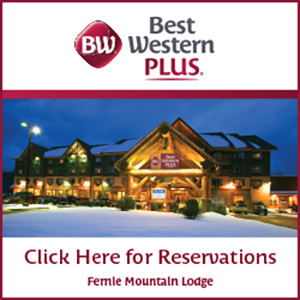 Reservations Services – Use Fernie’s expert services to plan your stay. Summer Activities – Summer activities in Fernie include biking, boating, fishing, golfing, hiking, camps, rafting, tennis, golf and more. Nightlife and Bars – For you adults who still have some energy after a full day’s adventure, you’ll want to experience Fernie after dark. Arts & Culture – Fernie has been an art and cultural centre for decades with many local amenities that are larger than the community. Health & Wellness – Fernie has a great selection of professional spas and health care professionals. Fernie Alpine Resort – Fernie Alpine Resort offers world-class winter and summer activities. Rentals – Fernie has only the best high performance rentals at these speciality shops. 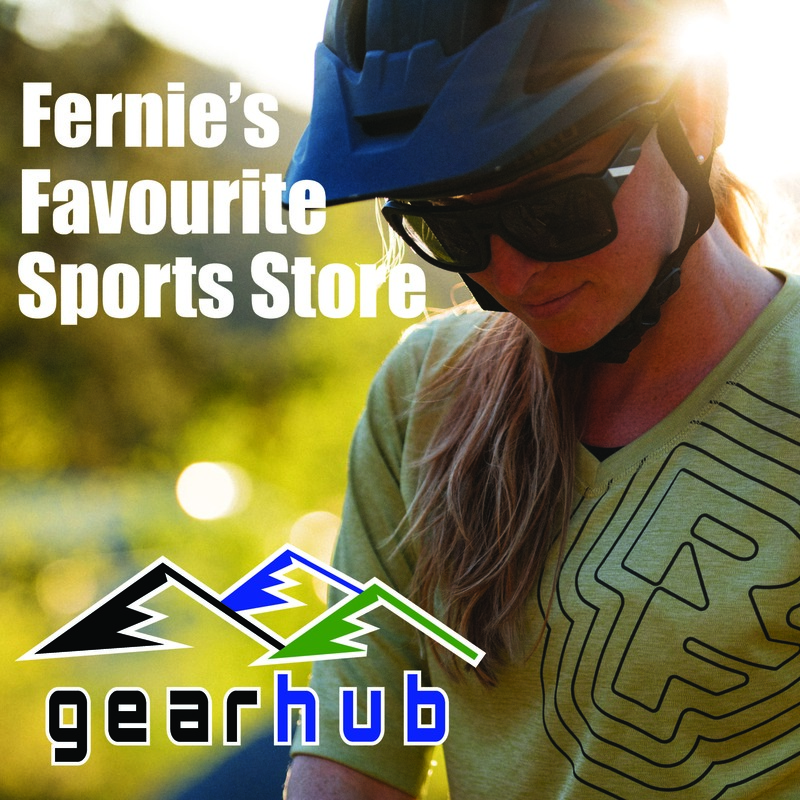 Sporting Goods – Fernie shops have the gear that works best in Fernie and they offer service and pricing to ensure your satisfaction! News – Fernie’s latest news and event coverage, stories and stories and updates. Bike Events – Fernie’s locally organized bike events. Elk River Alliance – A community-based water group protecting the Elk River watershed. White Water Park – The Fernie Whitewater Wave society is working toward creating a river wave in the City of Fernie. Wildsight – Working to protect wildlife, water and wild spaces. Fernie Alpine Resort – News and updates on FAR, the world renowned destination for skiing and snowboarding located in Fernie. Council Connection – Fernie Council Meeting updates and news is available here in the latest edition of Council Connection. Regional District East Kootenay – Local rural area government dedicated to providing quality service to residents and property owners. Fernie Ghostriders – Updates on the Fernie’s Junior B Hockey Club, a proud member of the Kootenay International Junior Hockey League. Mary Giuliano – Mary writes about the town she has loved since moving here in May of 1953. Off Camber – Keith Liggett follows the goings and comings in Fernie—in town and on the hill—but not in the normal fall line. 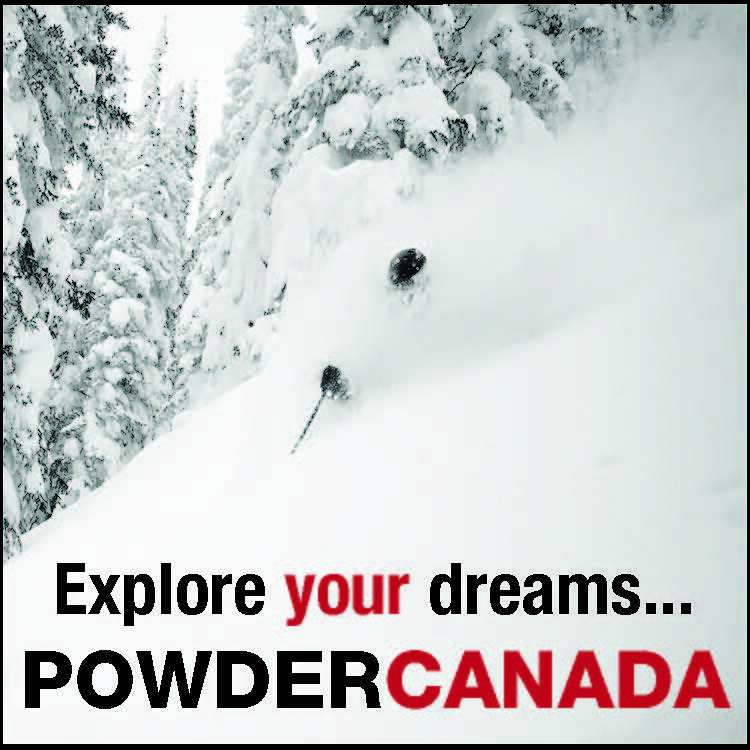 Backcountry Powder – Fernie’s backcountry is where the powder lasts for weeks whether you’re touring or riding! Fernie Ski & Board Film Fest – Fernie’s unofficial launch to the snow season! Hundreds of skiers and boarders celebrate the coming season and watch the seasons top ski and board films. Fernie Chamber – A service organization that is dedicated to enhancing the economic future of Fernie and the quality of life for the residents. Weather Forecast – See Fernie weather information, weather forecasts and weather indicators here. Road Reports – Getting to Fernie can be a challenge and it’s best to get here safely. See all the road reports here. Highway Webcams – These real-time Highway webcams are more accurate than any Fernie weather forecast. Fernie Webcams – See these Fernie webcams for the realtime weather that Fernie is experiencing. Snow Forecast – See the real Fernie snow forecast here. Don’t forget about the Fernie Factor, the weather algorithms don’t always work for Fernie. Snow Conditions – Get the whole report on Fernie’s snow conditions. Avalanche Bulletins – See Avalanche Canada’s latest avalanche bulletin for Fernie and the South Rockies. This is mandatory information for backcountry users. Weather Indicators – Weather Indicators are best for the seasoned weather researcher looking for advanced weather information. BC Wildfire Info – Wildfires in BC have become a summer reality, here is the important information. River Levels – See water levels for the Elk and Bull Rivers, and Lake Koocanusa. Maps – See maps on everything from getting here to skiing, trail maps, bike trails, shopping maps and more. Air Service – Daily scheduled air service to airports near Fernie. Airport Shuttles – Fernie is a quiet mountain town, not a high volume people destination like Whistler or Banff—therefore we have less transportation options. Customs – You will require a passport to enter Canada and post-9/11 the process is tighter than ever, here is what you can expect. A locals update on snow, trails, powder and more. Fernie's destination biking events organized locally. Mary writes about the town she has loved since moving here in May of 1953. Fernie Alpine Resort offers world-class winter and summer activities. Fernie's backcountry is where the powder lasts for weeks whether you're touring or riding! A community-based water group protecting the Elk River watershed. Working to protect wildlife, water and wild spaces. A service organization dedicated to enhancing the economic future of Fernie and the quality of life. Fernie Council Meeting updates and news is available here in the latest edition of Council Connection. Local rural area government dedicated to providing quality service to residents and property owners. Keith Liggett follows the goings and comings in Fernie—in town and on the hill—but not in the normal fall line. Hundreds of skiers and boarders celebrate the coming season with the seasons top ski and board films. Fernie's Junior B Hockey Club, a proud member of the Kootenay International Junior Hockey League. The Fernie Whitewater Park Society is working towards building a surf wave in the City of Fernie. The premier site of Fernie BC, the heart of the Canadian Rockies. Accommodations, lodging, weather, web cams, ski conditions, dining, news, events and much more.